Have you ever tried to fix something only to make things worse in the end? I have. I recall a specific time when I tried to fix a minor plumbing problem. I finally gave up and called a plumber. After putting everything right, he told me that had I simply called him to fix the initial problem, it would have been a simple and inexpensive job. However, because I tried to fix it myself, the repair ended up being more difficult and costly. Why? I tried to tinker with a complex, well-designed system without a complete knowledge of it, and as a result, I did more harm than good. Scientists often do the same thing with nature. Consider a recently published study from Africa. The scientists in this study wanted to “protect” some acacia trees by surrounding them with fencing. You see, large plant-eating animals called herbivores eat the acacias’ leaves. Some (like elephants) even trample them. The scientists logically thought that by keeping the large herbivores away from the trees they would end up being healthier than other trees that were not “protected.” The scientists were wrong. 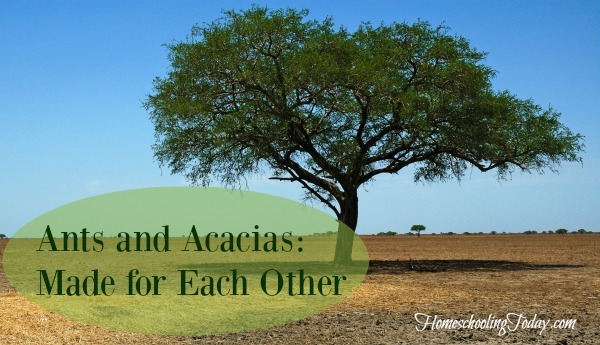 After approximately ten years, the fenced-in trees were more sickly and more likely to die than acacia trees in the same area that were not “protected” by the scientists! Why? Because the scientists tried to tinker with a complex, well-designed system without a complete knowledge of it. 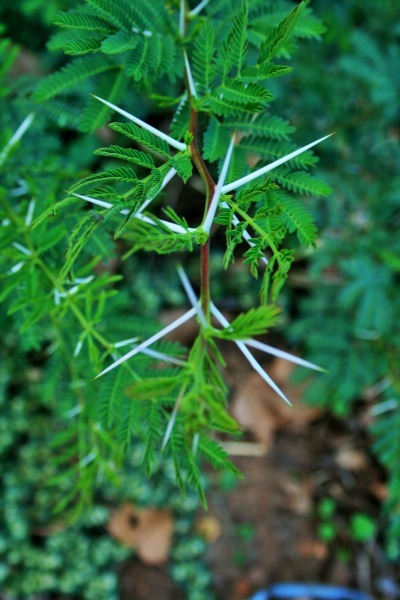 thorns of an acacia tree and eat nectar the tree makes especially for them. As a way of saying “thank you,” the ants viciously attack anything that tries to graze on their tree. This includes swarming onto large herbivores that have the nerve to graze on their turf. While their attacks do little damage to the herbivores, they are annoying, which causes the herbivores to look for a more pleasant food source. The production of thorns and nectar costs the acacia tree energy, but in the end, it is worth the protection the ants provide. The acacia trees that were fenced in, however, did not experience the pressure of large herbivore grazing. As a result, they did not invest as much energy into producing a lot of thorns and nectar for the ants. Because of that, not nearly as many ants lived on the fenced-in acacia trees. Why did that make a difference? It turns out that the ants not only protect the acacia trees from large herbivores but they also protect the trees from other insects. Without the proper contingent of protective ants, the fenced-in trees became susceptible to detrimental insects, chief among them a wood-boring beetle that can cause immense damage to trees. Thus, the scientists learned that they could not improve upon the protection that the acacia trees already possessed. The fact that biologists who have the benefit of almost 3,000 years of science behind their work could not improve on the defense system of the acacia trees indicates that an incredibly intelligent, powerful Creator designed this defense system. In fact, the system is even more complex than I have described so far. The ants protect the trees from other insects. Normally, this is good, but there is a time when the trees need insects to visit them—when they are flowering. After all, flowers are the means by which trees reproduce. To accomplish this, insects must transfer the pollen of one flower to another flower. One way this happens is for insects to carry the pollen from flower to flower while they are eating the nectar in the flowers. Now once again, from our point of view, this seems to be a problem. If the ants protect the trees from insects, wouldn’t that interfere with the trees’ ability to reproduce? Of course not, because the Designer of this system is very clever! When the acacia trees flower, the flowers produce “ant repellent.” The ants patrol the rest of the tree, but they avoid the flowers. As a result, the only safe spot for other insects to feed is on the flowers! Thus, the ants do not hinder reproduction. That’s not the end of this amazing story, however. God designed the flowers to stop producing their ant repellent once the insects pollinate them, and they begin to form seeds. 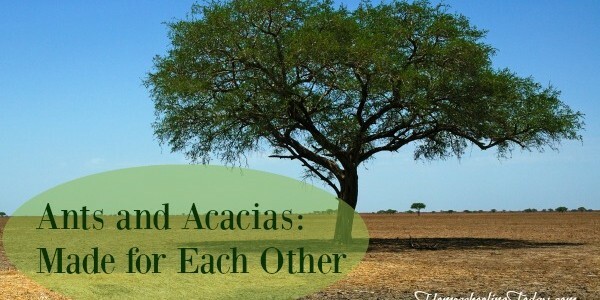 As soon as the seeds form, the ants return, protecting the seeds that will become the next generation of acacia trees. This amazing system works continually, and despite almost 3,000 years of collected data, scientists cannot improve upon it. God’s handiwork is truly amazing, isn’t it? “Breakdown of an Ant-Plant Mutualism Follows the Loss of Large Herbivores from an African Savanna” by Todd M. Palmer, et. al., Science, January 11, 2008, Vol. 319, pp. 192-195. “Ant Deterrence in Acacia flowers: How Aggressive Ant-guards Assist Seed-set” by P.G. Willmer & G. Stone, Nature, 1997, Vol. 388, pp. 165-167. Dr. Jay L. Wile has a PhD in nuclear chemistry from theUniversityofRochester. He is an award-winning teacher and scientist. He is also the author or coauthor of many of the acclaimed “Exploring Creation With . . .” science courses that are designed for homeschoolers. You can reach him at jlwile@apologia.com.